Family law encompasses a wide variety of domestic matters including, but not limited to, divorce, custody, child support, spousal support (commonly known as alimony), and adoption. Because no two domestic matters are exactly alike, the family law process may be very stressful for some, and rewarding for others. For example, going through a divorce will undoubtedly be stressful on any children involved, while an individual seeking adoption will feel rewarded when the time comes that he or she is able to call a child his or her own. The Tucson Divorce and Family Law Attorneys of AZ Family Law Team, PLLC recognize that each client needs and deserves individualized attention to ensure the client’s goals are met. There are thousands of experienced and hard-working attorneys who may be able to help you file for divorce, seek modification of a custody order, in addition to other family law matters. However, it takes more than simply helping your client get from point A to point B. 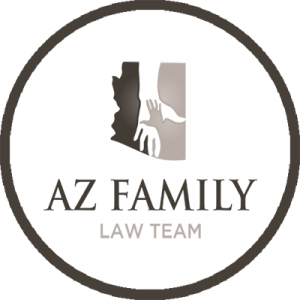 At AZ Family Law Team, PLLC, our Tucson Divorce and Family Law Attorneys not only provide outstanding legal representation, but they also feel what their clients are going through. Our attorneys put themselves in the shoes of their clients in order to help them reach a resolution that will be in each client’s best interests. Clients are not just numbers to AZ Family Law Team. Clients are fellow individuals in need of legal guidance, and our attorneys focus not only on professionalism and providing each client with unique legal representation, but also on maintaining a close relationship with clients. We understand that speaking with an attorney can difficult for some, and the Tucson Divorce and Family Law Attorneys of AZ Family Law Team, PLLC make their clients feel as comfortable as possible. Having a solid attorney-client relationship is essential to the resolution of any legal matter. A key component of what AZ Family Law Team has to offer is that no client will be placed in the hands of anyone other than a licensed attorney. While our attorneys certainly have qualified legal assistants and paralegals to help with general case matters, the attorneys themselves provide direct communication to clients. Many law firms will have legal assistants and other legal staff members perform an initial intake when potential clients call. However, at AZ Family Law Team, each potential client will be speaking directly with a Tucson Divorce and Family Law Attorney right away, so that you can quickly get the advice you need. All family law matters have the potential to cause you and your loved ones unnecessary stress that may be prevented with the assistance of a qualified Tucson Divorce and Family Law Attorney from the start. The longer you wait to seek legal representation, the more difficult your particular family law matter may be to resolve. With the help of an attorney, you will have an advocate by your side whose job is to ensure you interests are being furthered. The Tucson divorce lawyers of AZ Family Law Team, PLLC can answer any questions you may have as well as address general concerns you may have about the divorce and family law process. We understand just how challenging it can be to resolve a family law matter, and we are here to help you reach your goals. If you need legal representation for a divorce or other family law matter, contact the Tucson Divorce and Family Law Attorneys of AZ Family Law Team today by calling (520) 448-4940. Rated as “A” by the Better Business Bureau, our skilled attorneys are available 24/7 to answer any questions or concerns that you may have. If you are currently struggling to manage your debt and are overwhelmed at the thought of even one more month of bills, don’t hesitate to contact the bankruptcy and debt settlement attorneys of . Through a free consultation, we can review your current financial predicament and guide you through all possible solutions. Contact us today at (520) 448-4940.